There is a common belief that only a law maker or an activist with backing from a powerful organisation can challenge a tradition or bring about change. But I have always believed that as individuals each one of us can be an agent of change. Today I want to share some examples of that. In our community, men take most of the important decisions: what crop should be sown in the field, which school a child should attend and most important of all, how the money should be spent. This is often seen as a tradition, rather than something wrong. Since this is a tradition, few want to or dare to question it. But there are women in my community who are breaking these traditions in a very subtle way, without creating conflict. I want to give you the example of my own mother, Phulwanti Sahu, who lives in a village called Machandur in Chhattisgarh. Mother never learnt to read or write. But she is now working as a daily wager to support the education of two grandchildren (my brother’s daughters) – both girls. My brother is a migrant worker who travels from state to state in search of work. Mother did not want the girls to drop out of school when their parents moved to a new town, so she decided to let them live with her. Every day, for eight to 10 hours, she labours hard in a neighbour’s field, breaking up the uneven ground with a spade, removing stones and turning it into a cultivable plot of land. This work, provided to her by the government for 100 days in a year [as part of the Bhumi sudhar yojana – land improvement scheme] is my mother’s sole source of earning. She earns Rs 12,200 a year (USD 220) – that is, when the Thikedar (supervisor) is not corrupt and not cheating her. When no work is available, she does other odd jobs such as carrying her neighbours’ surplus paddy to the market and selling it for them for a small fee. In the same village, there is a 70-year-old woman called Dhanwanti who has vowed to send every pregnant woman in her village to a hospital for her delivery. In September last year, Dhanwanti’s own daughter-in-law almost died while giving birth to a baby girl at home. It was in the middle of the night and no midwife were available to travel to assist the woman. Fortunately, both the mother and the child survived, but after that Dhanwanti decided that no more women should risk their lives by giving birth to a baby at home. The government offers a cash incentive of Rs 1,400 (USD 25) to each woman who delivers at a hospital. So, besides free medicine and food at the hospital, the money can help the woman buy things for herself and her child. Dhanwanti is telling every woman that she must use this opportunity. Take the example of Sukhantibai Partiti of Handitola – another nearby village – who is telling women in her village to make their daughters do hard work such as carrying pots of drinking water while they are menstruating, breaking the village taboos. [There are deep-seated cultural taboos associated with menstruation in rural India, where it is viewed as polluting and dirty. In some cases women must sleep separately from the family and are banned from entering the kitchen or attending religious and social functions]. She is also telling the villagers not to wash their plates in front of the house, like they have always done. Instead, they must dig a hole at the back of the house and throw cow dung over it, so no flies or other insects can crawl over it, she says. In addition, whenever there is a festival, the men set up makeshift food stalls, selling snacks and making some quick money. 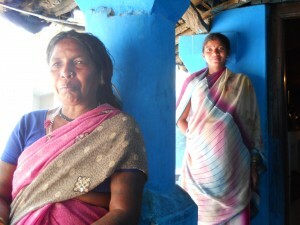 Sukhantibai is encouraging the women of her village to put up their own stalls. She thinks that since women always cook at home, they can also cook tasty food for the festivals and that it will be a good way to earn some money of their own. Phulwanti, Dhanwanti, Sukhantibai and my mother Phulwanti – they are simple women from poor families whom you almost don’t notice. They do not address public rallies or speak in front of camera. They are also women who usually don’t get to make a lot of decisions at home. Yet they are trying to nurture a new generation of women, teaching them about the value of education, safe motherhood, basic sanitation and much more. My mother, who cannot afford to buy vegetables or meat, has planted moringa trees in her house. Now she often cooks the leaves and high-protein seeds of the moringa and feeds the girls, so that they will not suffer from malnutrition. Now, her neighbours are doing the same, sending their children to schools and also feeding them moringa seeds and leaves. In fact every afternoon, many young girls from the neighbourhood gather at my mother’s courtyard house to talk about their school, teachers and health. Their parents also believe that the girls are learning something important. I believe that this individual activism is a very effective way to change our society. But how can we sustain this activism? My answer is, by taking notice of each other’s good qualities and actions and adopting them. Because the country cannot be changed by the government or a handful of social workers; it needs millions of ordinary change makers. And that can happen only when we allow ourselves to be agents of change. Huh! who would have thought an uneducated old woman can go to such extent to bring education. Isn’t there a way to support such pioneers? If not, there should be! I always like ordinary people’s stories like this. It makes me think what I can do to make my country better. I think media should publish more such stories. Very inspiring indeed, thanks for sharing.